Comics, heralded as a white heterosexual masculine medium, has in fact a diverse range of contributors, many of whom are women, non-white, and/or do not conform to the binary constructs of sexual or gender identity. However, such voices often go unrecognized or are demeaned in mainstream media. Moreover, the lack of equal economic opportunities for a wide range of creators stifles the output of our culturally diverse society, which in turn is reflected in negative or absent portrayals of women, queers, and people of color in the content of the medium itself. Yes, one woman and one African-American. Zero gay men or women. But you realize why, right? All those white male straight superheroes have been around for 60 to 70 years. 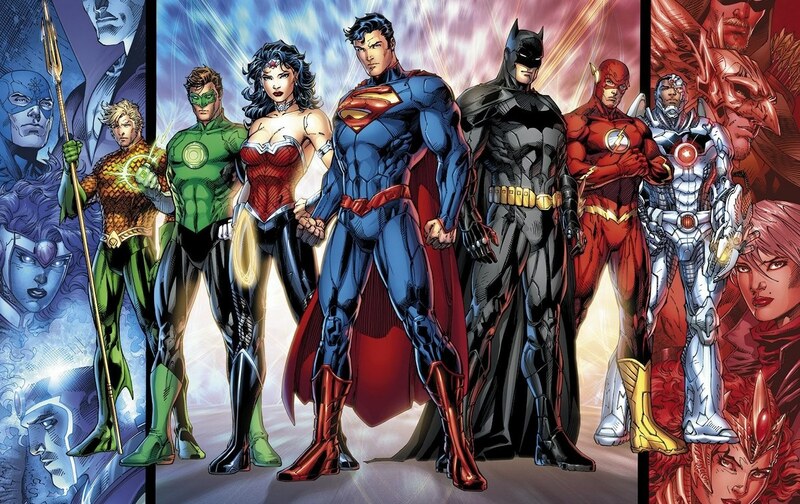 We grew up immersed in Superman, Batman, Green Lantern, Flash, and Aquaman. And unfortunately, those are also the characters that sell the best. We can protest all we want, but comics are essentially adolescent in nature, and the audience of comics will almost always be made up of mostly teenage boys. They love Superman. They love Batman. And they love skimpy outfits. We shouldn’t be focusing on a “comics hate women, minorities, and homosexuals” because victimizing won’t accomplish our goal. Instead, we need to focus our energy entirely on how to get teenage boys to buy comics starring women, minorities, and homosexuals. It’s insane to think Marvel and DC are misogynistic, racist, homophobic companies. You don’t really believe that, do you? But I do know that as much as they want diversity to spread to their artistic medium, they want to make money more. Business first and foremost. If they believe a Superman movie will make more money than a Wonder Woman movie, well, you know what they’ll choose. It’s not about diversity or agenda, it’s about profit. We can’t hate them because of how capitalism operates. I completely and totally support what the Comics Undressed documentary wishes to show the world, but the problem solves itself in one simple step: readers buy more comics starring women, minorities, and homosexuals and more comics starring women, minorities, and homosexuals will be available. The problem has never been the industry. It’s always been the audience. If that’s the main argument of Comics Undressed and not the victimization angle, then I take back what I say. Thank you for indulging me. Tomorrow we’ll cover another white man, and I apologize in advance. Hey, my friend, you touched upon the very first article I ever wrote! Thank you for your comment! We scarcely see comic characters getting into their smalls because their primary role is to act as heroes fighting against evil doers. From that perspective it doesn’t matter what their “preference” is. Also, as you say, if comic book readers wanted homosexual characters the comic companies would provide them. Still working on that Death of Daken story I offered to write a while back. Just struggling to come up with a scenario in which someone armed with “bone” claws could ever be considered a real threat. Certainly Daken’s defeat of Frank Castle was a practical impossibility. I guess I’ll write it “realistically” and depict him losing to a guy armed with a pocket knife.